The Student Council will help provide input to the NHSA as to the needs, concerns and interests of today's Terra Scholars. It will also help to coordinate student led initiatives across the country throughout the school year. The Students themselves will decide what initiatives are important to them and then implement the best of them on a city by city and state by state basis. Each city and state Student Council will also be able to make suggestions to the National Student Council. The National Council will then develop a calendar of activities that they would like to encourage each city and state to participate in on a nationwide coordinated basis. The Student Council program is designed to help students develop leadership skills while helping all students find meaningful ways to help each other and their communities. The program should also help students to be able to demonstrate and broaden their talents, skills and interests while helping the student body, as a whole, to do the same. The following is a listing of important dates for those interested in becoming a Student Council member either on a State or National level. September 15th - Deadline to submit video campaign speeches. September 20th - Voting starts (vote for your City, State and National candidates). October 1st - Student Council's are inaugurated for all City, State and National Councils. Each City, State and the National Student Council will have 7 members including: President, Vice President, Secretary, Treasurer, Historian (to maintain their part of the Student Council website), Liaison (to do public relations and liaise with the NHSA ) and Coordinator ( to coordinate the activities of Committees & Volunteers). Each student running for office will submit a 2-3 minute video that will be made available for viewing by all NHSA members. In these videos, candidates will introduce themselves, tell what specific position they are seeking and explain why they believe they are the best candidate for that position. Any videos containing inappropriate content or language will be automatically disqualified. The videos should not contain any campaign promises but rather goals, aspirations and accomplishments that the candidate will strive for during his or her time in the position being sought. Submission of a candidate video is free but those winning the various positions will be asked to contribute $20 for a startup kit that will include an instruction booklet, patch, and certificate. An inability to make the requested contribution will not disqualify any candidate. Those candidates with the most votes (note: members will only be allowed to vote once for each position) will be given various duties and opportunities to represent the NHSA community and help to present and solve problems faced by homeschoolers everywhere. The seven NHSA Student Council representatives for each city, state and the seven representatives for the National Student Council take their positions on October 1st of each year. Together they will help to coordinate the activities of the HLA Terra Scholars throughout the year and then they will all come together either on-line or in person at the National Conference during the NHSA Expo and Virtual Expo in May to discuss the accomplishments and challenges of the year, set the stage for their successors and attend to any unfinished business. Council representatives will also work together to propose solutions to problems faced by homeschoolers in general. Recognition will be given to those who made special efforts and there will be special guest presentations to provide inspiration and encouragement to those who participated in this year's Student Council. 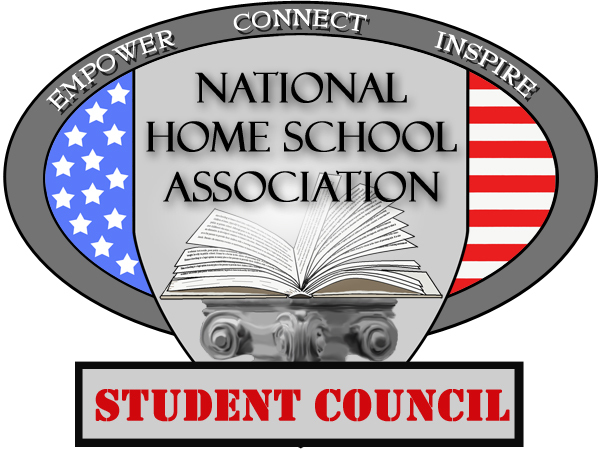 The Student Council Conference will run for 6 hours (9am-Noon and 1pm- 4pm) on Day 3 of the NHSA Expo. Those interested in running for Student Council should visit our site that provides details of how it all works.